Robert McKenney is Founder & CEO of BidFoundry (SaaS for collectibles dealers) and Bold Beaver (Canadian cloud backups). 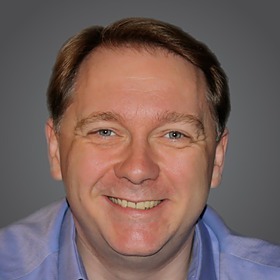 Robert McKenney is an entrepreneur with over 25 years of experience in successfully using technology to find creative and elegant solutions to complex business problems. He has been hands-on in developing websites and web applications since 1994. Robert can approach any given challenge with a strong mix of both creative and technical skills, leading to a more well-rounded, customer experience focused solution. Robert’s infectious enthusiasm helps him communicate that vision effectively with many different audiences. Robert McKenney can quickly see the broad strategic vision and then effectively articulate that in terms of specific implementation details relevant to each team member – helping them to understand the importance of their contribution to the whole project. A love of life-long learning drives Robert to continually expand his knowledge of the ever-changing information technology industry. And, he is equally delighted by the opportunity to learn more about his client’s business domain so that he can better serve them. Robert McKenney has been leading the development of a new SaaS back-office management application and ecommerce marketplace solution for the rare collectibles industry. As a startup founder, Robert has been responsible for hands-on execution in all aspects of business planning, product management, market positioning, product development, dev/ops, and early sales. BidFoundry is a cloud-based retail and auction platform customized for rare collectibles like stamps, coins, and antiquarian books. The integrated platform provides a powerful back-end to manage every step of the sales and auction processes, from inventory listing to live auction management, payment processing and customer management. The BidFoundry solution is tailored to the unique requirements of professional dealers, auctioneers and serious collectors. Recognizing that BidFoundry has enormous growth potential and could benefit from experienced mentorship, Robert McKenney together with co-founder Chris Green beat out 88 other start-ups to win a spot in the L-SPARK Incubator program for enterprise SaaS businesses. As a successful L-SPARK alumni company, BidFoundry is now well positioned for the next stage of growth. Founder & CEO at YourSiteOurServer.com / Bold Beaver Inc.
Robert McKenney spun off the New Media and Creative Services practice from G4 Strategic Communications in June 2008 as YourSiteOurServer.com. He was Responsible for all aspects of the business including product management, branding, design and digital marketing services, plus service development and operations of the online hosting. In January 2011, building on the web design and evolving digital marketing practice begun with YourSiteOurServer.com, Robert McKenney launched Bold Beaver Communications as a new brand focused on delivering a comprehensive and integrated approach to SEO, and inbound digital marketing. Ultimately this practice was very labour intensive and difficult to scale. In early 2012, building on an extensive technical background, Robert McKenney refocused the company on delivering more scalable services in a portfolio of practical Canadian cloud based solutions for small and medium business (VPS cloud servers, web hosting, online cloud backup, cloud phone / hosted PBX). This effort encompassed managing the transformation of the whole business including: product management, cloud infrastructure development, overseeing operations management, re-branding, marketing, and sales management. Senior Partner at McKenney & Skaling Inc.
McKenney & Skaling Inc is a business development and public affairs consulting firm formed in partnership with the founder of G4 Strategic Communications principally to advance some large public/private sector projects in the areas of transportation infrastructure and continental energy policy. In addition to corporate leadership and administrative duties, responsibilities also include the hands on management of the New Media and Creative Services practice; strategic planning, project management and financial forecasting for the International Business Development practice area. Responsible for the hands on management, creation (including translations) and delivery of both electronic and print communications projects for various client organizations as well as all internal corporate communications. Projects included websites, product information sheets, annual reports, video briefings, written policy briefings, newsletters, speaking notes and presentation slides. Also participated in the preparation and execution of broader strategic communications plans for various clients. Planned and lead a working group, engaging stakeholders within and beyond CBSA in the collaborative development of a comprehensive IT Strategy. Influenced the evolution of business planning and governance activities. In addition to the necessary technical research and analysis activities, I managed the creation and delivery of the ongoing internal communications targeted to the disparate stakeholder groups required for the successful adoption of the strategic plan. Responsible for establishing and managing the budget for and the execution of the design and production of all internal and external communications for this volunteer based, non-profit organization, including newsletters, websites, email lists, speeches, print and radio advertising. Web Designer / Senior Technology Analyst at Sulis Consulting Inc. In support of various client projects, responsibilities included the design and development of several marketing oriented website projects using the latest standards based tools and methodologies including Photoshop, Illustrator, Dreamweaver, XHTML 1.0 and CSS 2.0. Other project responsibilities included strategic review of core business operations requirements and existing support infrastructure; managing IT infrastructure upgrades based on gap analysis â including technology requirements definition, vendor selection, systems integration and data migration. As part of Phase II Project Initiation Team, responsibilities included a strategic review of the project scope, alignment of the scope of various subprojects, the development of a detailed SOW, and making recommendations for the information control systems and documentation templates including use-case based requirements documents. Senior Business Analyst at Bell Security Solutions Inc.
As a primary liaison to engage both internal and external stakeholders, my responsibilities included defining and documenting the service management and operations processes for the Identity Management & Access Control portfolio of services, including recommendations for the updating of the CP and CPS documents for the PKI service infrastructure, ensuring all operations processes met PIPEDA requirements, and ensuring that with the full buy-in and support of several cross-organizational teams these new processes were properly implemented. Additional duties included leading several cross-functional teams responsible for solution design and work-stream impact assessment for several proposed new service introductions, as well as providing informal coaching to junior colleagues on other projects. Took lead product solution to market. Responsible for product pricing and market positioning as well as directing product development and R&D activities. Defined target market verticals, and provided coaching for sales team on approach and positioning for each vertical. Also as a key member of the marketing team participated in developing company messaging for both product and company collateral as part of official company launch â using Adobe Creative Suite, developed logo and branding design, company website, layout and content for product sheets and company brochure. Additional duties included supporting both direct sales and channel partner development. Responsible for the overall project management of a custom software application development program consisting of 14 sub-projects with 12 team members across 4 partner companies. Having taken on this role after the project had already started, the teams were successfully refocused and ensuring that the program was back on schedule by the next major milestone â saving $250,000 in potential cost over-runs on a $4 million project. Recommended and successfully obtained senior executive buy-in to make a strategic shift to a service-oriented architecture using a web-services model. Responsible for the design and development of new core service application that will be utilized by several other new applications within the organization. The core application is built with SQL server and the APIs built in VB and published as MTS components for backward compatibility to legacy applications. Helped lead the design and implementation of key operational processes and organizational functional alignment for the creation of a new billing and customer care systems focused service-bureau company. This included a streamlined IT development methodology and inter-organization project management processes. Also responsible for managing the day to day operational relationship of a $100 million annual portfolio with key VP level customer stakeholders. Also, acted as "swat-team" manager for temporary cross-functional project teams to resolve both serious operational failures and critical path development impasses. Senior core team advisor for an $80 million dollar application infrastructure replacement project supporting the consumer ISP - Sympatico. Key advisor in evaluating COTS vs custom development and potential development partners. Helped lead system architecture and solution design for integrated billing, registration, customer care and provisioning systems with Amdocs Ensemble and IAF Horizon. Provided project management and SME (subject matter expert) support to system interfaces, database conversion, and systems deployment teams. Acted as a key inter-organizational facilitator and senior advisor to the project leader and executive level stakeholders. As the team leader for long term systems architecture planning I worked closely with the product development team in service evolution planning and development for both business and consumer ISP portfolios.